The All Together Worship at 10.45 am! 4th Sunday of every month! All ages in one space! Relax!! God put the wiggle in children, don’t feel you have to suppress those wiggles in God’s house. Singing songs, playing games and learning about Jesus in new and creative ways! Wednesdays at 1.15 pm, term time only. YPF! Come and have some fun or come and chillax! We play games, go on trips, eat tuck, have sleepovers and talk about God! Fridays at 7.00 pm. Term time only. We are a lovely, friendly team of leaders and helpers who provide a range of activities to suit all children and are always happy to see both familiar and new faces. Children of any age (up to 11) are catered for and we all stay together to learn about God through prayer, songs, and many different fun activities. We use 'Roots' from Scripture Union as our basis and this means that the adults in church will be learning about the same things as us in Sunday Club. Lots to talk about over Sunday lunch! If your child is 11+, they will join Rapids , again following the 'Roots' programme. 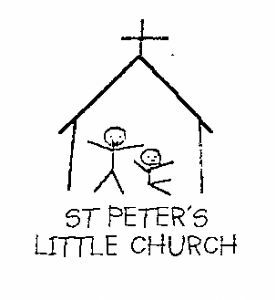 Hope to see you at St Peter's very soon! 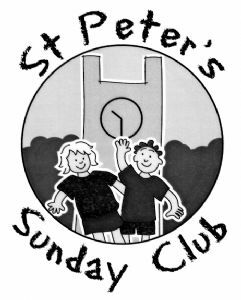 When there is no specific Sunday Club, there are toys and games available in the crèche area at the back of church but parental supervision is needed at these times. All our Children’s and Young people’s workers are fully BS checked. Our Children and Youth Policy can be found by clicking here.